Slice through metals, refractory bricks, stone, reinforced concrete and masonry with our range of reinforced cut-off wheels. Reinforced cut-off wheels are used for notching, sheet metal cutting, pipe cutting, removal of risers, metal plate dimensioning, bar cutting, rail cutting etc. The company has made its mark as a Manufacturer, Exporter and Supplier of Reinforced Cut Off Wheels in New Delhi. The Reinforced Cut Off Wheels, offered by the company, are used for notching, sheet metal cutting, pipe cutting, removal of risers, metal plate dimensioning, bar cutting, rail cutting etc. These Reinforced Cut-Off Wheels are fibre glass reinforced cutting wheels and should be mounted on machines designed for their use. Reinforced cut-off wheels are used for both metallic and non-metallic cutting applications such as, bar, steel metal cutting etc. Being the well-distinguished companies in the market, we are into offering Reinforced Cutoff Wheel. 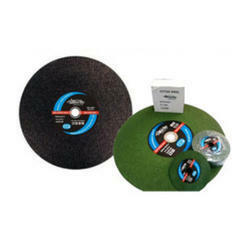 We are one of the most reliable companies in this domain and are offering Reinforced Cut Off Wheel. 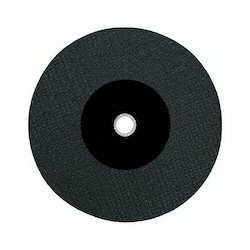 This Reinforced Cut-Off-Wheel (Type 41) is made from selected high quality abrasive and is reinforced by fiber glass, which gives it anti-shock strength and resistance to bending. It's widely used for cutting various metallic and non-metallic materials.Characteristics: Reinforced with 2 fibres therefore more endurance and efficient cutting.